Natus Vincere CEO Yevhen Zolotarov spoke to Cybersport.ru on the prospects for his org’s Dota 2 and CS:GO roster, and clarified that Danil "Dendi" Ishutin is still under contract with the organization. Zolotarov also admitted that he sometimes reads comments from fans, but wouldn’t recommend doing it. Your new roster flopped at the open Major qualifier. Did that perhaps give you the feeling that everything was lost and the reshuffle had been a mistake? It didn’t. After all, being inside the team, we can observe a lot of positive things: the way the guys communicate, the way they react to losing, the degree to which Dota is their life. At bootcamps, it’s all they ever do. For example, they play lanes against each other a lot; they talk about Dota. We see this and are carefully optimistic, despite the result of the Kuala Lumpur Major qualifier. The disappointment’s there, obviously. But it’s a feature of this roster that all players have a constructive approach [to losing]. In the closed qualifier, the team did well in their group, only to lose in the playoffs to ferzee, who had previously lost to everyone else. Had you underestimated that opponent? I’m not in a position to judge; it’s more of a question for the coach or the captain. Perhaps we had; indeed, they won the first game very easily, and were in the lead in the second one. Perhaps it was because the matches were played in the morning, which is more difficult for us. The guys finish their praccs late into the night and then play some pub games, so everybody’s in a bit of a haze in the morning. How did the team recover from the defeat? Were people tilting? That’s just the thing, they weren’t. They analyzed everything in a sound and rational way. Nobody was tilting. The disappointment’s there, obviously. But it’s a feature of this roster that all players have a constructive approach [to losing]. The atmosphere inside the team used to be XBOCT’s responsibility, right? Whose is it now? I can’t say it was Sasha’s alone. Sasha, Igor [Caff, the roster’s manager — Ed. ], and every member of the team were influencing the atmosphere one way or another. So there was no single person in charge. Sasha shouldered a large part of the responsibility back then; now it’s a collective effort involving the coach, the manager, and Akbar. In what other ways was XBOCT useful? Many struggled to understand his role in the team. Like any coach, he took part in drafting and in pre-game pick/ban discussions, and analyzed the team’s mistakes together with them. Mag is your current coach. How is he different from XBOCT? He’s more involved with Dota. He can play together with the guys in lanes, mid or 2v2. His style is more like Ceb’s. 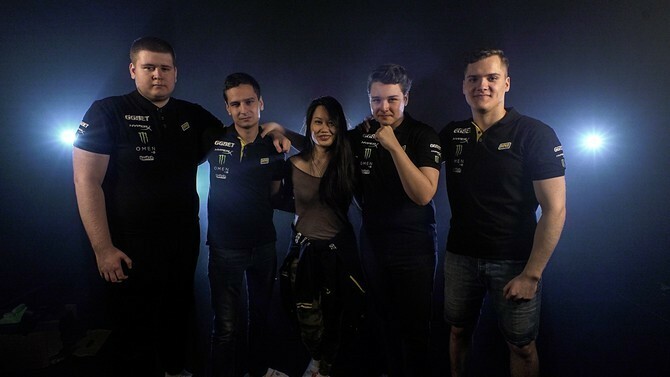 The team played the Major and Minor qualifiers from their bootcamp. They’d been there a long time, hadn’t they? Did it cause any problems? They had, but we’ve already sent the players home. They played the group stage of the Maincast event from home. Three weeks is the limit. An optimal bootcamp lasts about two weeks, then it’s very constructive and rational without getting tedious. Three weeks are too much. One way or another, this is going to yield results. I’m prepared to wait. Afoninje said in an interview that, rather than going to a bootcamp right away, the new roster would be better off playing together online for a while. That was what we did. 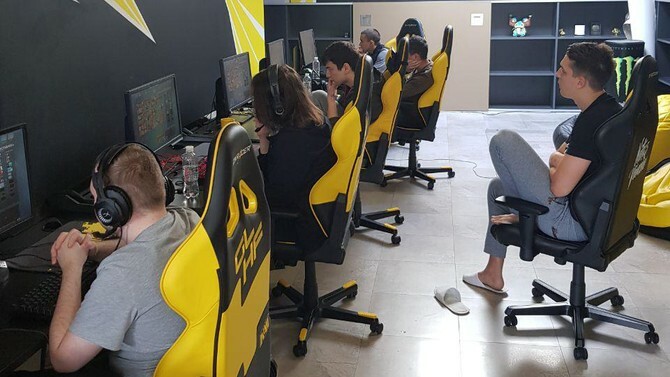 We formed the roster, they played praccs from home for about ten days, and only then went to the bootcamp. Who decides that it’s bootcamp time? The org has the initiative. The manager obviously discusses it with both the coach and Akbar. [Then] he gives me the approximate dates, and we coordinate everything — the office staff, the gaming house or apartment, and so on. How would you rate the team’s performance in the qualifiers? You did make the Minor, but failed everywhere else. The results are satisfactory. We knew it would be hard to get to a Major right away. But we’ve met our minimum goals. We regarded all other online tournaments as more like praccs, so that was no disaster. We still have a chance to put up a fight at the minor and maybe even make it to the major. What must the team achieve for you to say that the experiment has been a success? Making it directly to The International, at the very least. How much time are you prepared to give players so that they could find themselves? If they hadn’t qualified for the Minor, would you have done what Kondakov did? No, I’d have definitely given the roster more time. I like the way the guys are working, the atmosphere they’ve got, how they listen to their coach and their captain. One way or another, this is going to yield results. I’m prepared to wait. It often isn’t the org that initiates a reshuffle. A reshuffle means an impossibility to resolve the players’ internal conflicts. There are no such conflicts now, so the guys have time. We’re in no hurry and we hope that they’ll make progress. On Lil and Dendi: "Danil wants to keep playing, so coaching wasn’t an option we considered"
Is Dendi bound by a contract with NaVi, or a free agent? Has he been getting serious offers from other teams? The reason Danil is contract-bound isn’t that we want to make money on his transfer. It’s more of the opposite. We’re ready to accept whatever decision he makes, and he’s now the one doing most of the talking with orgs and individual players. In other words, the finalizing stage is where we come in. Once he makes up his mind where he wants to play going forward, negotiating with us isn’t going to get complicated. Once he makes up his mind where he wants to play going forward, negotiating with us isn’t going to get complicated. What about the players who left during this transfer window, did their contracts run out? They were all on long contracts. We accommodated Viktor [GeneRaL — Ed.] and Lil since they were transferring to a stack rather than an org. We relieved them of their contractual obligations. So they’re now free to join Team Empire or Vega Squadron? Not quite. We have certain agreements, a type of ancillary contract. If they join one of the established orgs within the next six months, we’re supposed to get a compensation. A symbolic one, but a compensation nonetheless. Was it hard to let Dendi go? Did you consider making him the coach? It’s not up to me or to NaVi whether a particular player is used as a coach or something else. It’s more about his own wishes. Danil wants to play, so it wasn’t an option we considered. Was it hard to release him from the roster? Yes, of course it was hard. Very hard. One gets used to people, and Danil… For me, he was the person that made me like Dota. 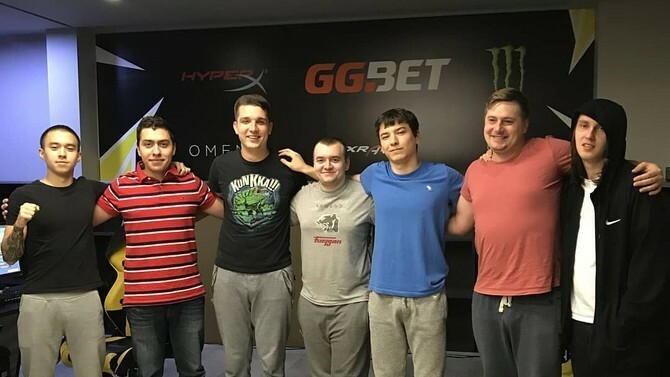 I’ve been in NaVi since 2014, but I’d been following the org, and its Dota 2 roster in particular, from about 2011. The 2010 CS roster was largely what made me a NaVi fan, but then I became very interested in Dota as well. Humanly, it was a very hard decision to make, and it was also hard for the organization. Nevertheless, this may sound trite but whatever happens is for the better. For everyone involved. Before EPICENTER, Lil gave us an ultimatum: either he remains on the team or LeBron does. Our response was that ultimatums aren’t a language we communicate in. Many teams have stars similar to Dendi. pashaBiceps is one example. Orgs often cannot let them go due to obligations towards their sponsors. 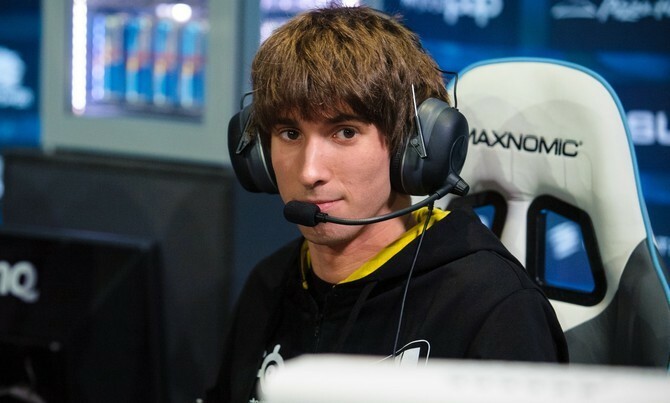 None of our contracts included such commitments or singled out Dendi in any way. Sponsors are interested in seeing results from the orgs they support. Since we hadn’t shown any results for a long time, we had no problems with our sponsors on this issue. Lil and LeBronDota had a spat on Twitter. So did LeBron leave of his own accord, or was he kicked? To be honest, I’d prefer not to touch the issue of Lil and his comments; he’s been getting enough backlash from the community as it is. It happened more or less the way he described it on stream. But what he said about the quality of LeBron’s play was his personal opinion. Before EPICENTER, Lil gave us an ultimatum: either he remains on the team or LeBron does. Our response was that ultimatums aren’t a language we communicate in; the two would play together at EPICENTER and we’d decide afterwards. I think they looked quite good at EPICENTER, except in the last match against paiN Gaming. I think if they’d finished off Newbee in game 3, they’d even have made the winners’ bracket. And then, perhaps, events would’ve taken a different turn. But things went the way they went. After EPICENTER, LeBron himself didn’t want to play with Lil either. He wasn’t kicked; he said he wasn’t going to fight for his spot on the team anymore. On the CS:GO roster:"Before the final, I looked at the guys’ faces and I could see that they were nervous." How did you handle the defeat in the Major final? We handled it okay. I can’t say it was easy. There were unpleasant conversations right after the match; the players’ psychology had failed them. Absolutely every match of the Major had gone smoothly for them, without conflicts or accusations. They sat down and continued to fight regardless of any previous lost rounds, even frustrating ones. However, before the final, I looked at the guys’ faces and I could see that they were nervous. We were nervous out of our minds. All of us. It wasn’t just one person losing touch. Everyone lost touch. No one was playing their own game. I’m sure they have what it takes to face Astralis. There were frustrating rounds on Nuke with an undefused bomb, but Astralis’ power is precisely in being unfazed by these things. They’ve got this Nordic calmness. But it had taken them a long time to get there, too. It wasn’t just one person losing touch. Everyone lost touch. No one was playing their own game. I also talked to Astralis’ management. Their players are on friendly terms now, they’re a genuine team who are together everywhere. But that’s also the result of meticulous work on which they’d spent several years. What happened at ESL New York 2018? How did you lose to Gambit Esports, whose HObbit is about to leave? I wasn’t with them that time. Perhaps we underestimated the opponent and they played well at a certain point. Gambit were carrying the burden of roster reshuffles that hadn’t led to a change in their results. HObbit is leaving now, and that may have been what made them relax and show a good game. I believe we should’ve won, but what happened — happened. The important thing is that the guys talked to each other afterwards, analyzed their mistakes and knew what they had to do from there. Which of the rest of this year’s tournaments are priorities for the team? 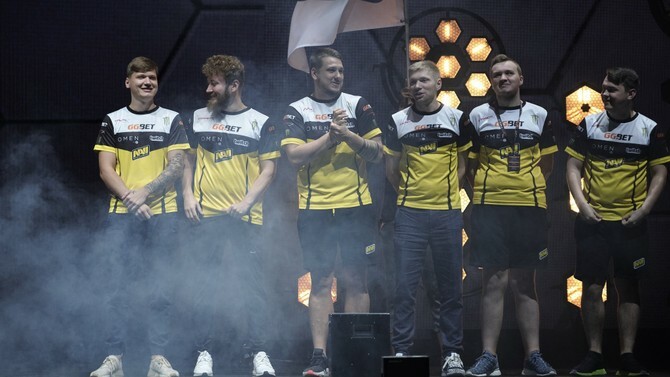 The upcoming tournaments — EPICENTER, ESL Pro League; we’re hoping for an invite to BLAST Pro Series — Copenhagen 2018 [NaVi have since received the invite — Ed. ]; Intel Extreme Masters XIII Chicago, because that’s the Grand Slam. We still, theoretically, have a chance to win the Grand Slam. NaVi is unquestionably in the global top 3. Are you pleased with this result? We’ve ranked second for a long time already. Appetite comes with eating. If you’d asked me a year ago if I’d be pleased with this stable second rank, I’d have said, “Yes, of course”, and the guys would have probably said the same. But we’ve been in that spot for too long. There was a good time when we won three tournaments in a row, including one in which Astralis took part, but we do want more. We want to win large tournaments. s1mple used to be considered a toxic player, but he’s changed a lot since. Was it the result of NaVi management’s influence, or his own decisions? I feel we’ve been doing a lot to make that happen. It’s not only a player’s level and skill that matter to us, but his personality as well. Alex was never a bad person. But we had our doubts when we were buying him, because of the many stories and rumors: the knives, the rages, the departures from teams. He’d never played for longer than three months anywhere before NaVi, where he’s been for over two years by now. And everyone deserves the credit for this, including himself because he’s been working on his self-improvement. 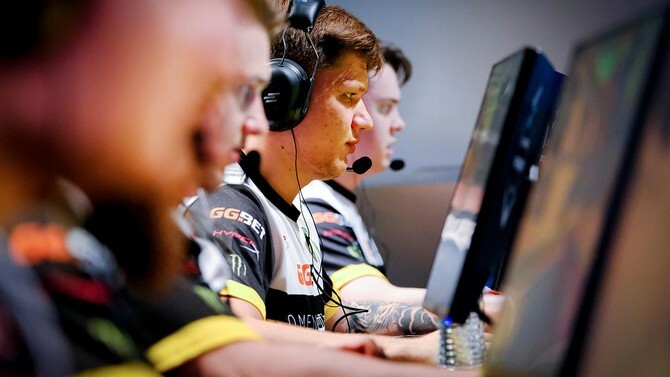 [s1mple] is still quick-tempered, he’s still explosive and hotheaded, but he also cools down quickly. He’s aware of his mistakes and screw-ups. He’s still quick-tempered, he’s still explosive and hotheaded, but he also cools down quickly. He’s aware of his mistakes and screw-ups. He has a very smart and wise family; he listens to his parents among others. They can chill him on occasion. He reads books, including autobiographies of famous athletes, and makes progress. Do the team’s leadership and the players read fans’ comments? It’s up to everyone individually. Perhaps it’s better not to read them, as they can change your opinion of a teammate who’s constantly being hated on. On the other hand, I know it’s hard not to read them; I read them myself, albeit not so often. Our guys sometimes say they don’t read them and don’t pay attention to them, but I can see that they do. If they’re CS players, statistical indicators matter to them, and what HLTV.org is writing about them. If they’re Dota players, then it’s Reddit, comment sections, and suchlike. Everyone reads it, everyone pays attention. Does it affect them? It probably does, in indirect ways. I can’t say if that’s good or bad. That’s just how the world and esports works. The owner of G2 Esports criticized his own CS:GO roster on Twitter. Was it an attempt to motivate the players, or was he just salty? Would you have done that? I don’t know what made Carlos [Ocelote — Ed.] do that. Is this a thing I could do? Probably not. People are different. Some are motivated by criticism, others by praise. But as far as rosters are concerned, we’re the ones who’ve formed these rosters, so we only have ourselves to criticize. Although obviously there can be objective reasons, and a lot depends on the players. But then again, isn’t that what an org is for? On other titles: "Our PUBG guys have lost faith in each other"
Not so long ago, your PUBG roster was on top, not just in the CIS, but worldwide. Now you’re ending up in lower halves of tournament standings tables. What gives? The roster is now in a very tough situation. The guys have lost faith in each other, and the last StarLadder, where they didn’t make it out of the group, was the catalyst for that. They were very disappointed. They’re young, with not a lot of experience in esports. They like to see others as the problem rather than themselves. We had a lot of conflict. Drainys decided to start a media career and transferred to Team Unique. The others [stayed] on the roster, but I’m not going to hide the fact that Ivan [ubah — Ed.] is considering joining a different org. We know that he’s a very strong player. [In a different situation,] we’d probably be doing all we could to stop him, but right now, he’s not loyal to the org or the roster. So we decided not to overreact. We’ve given the captain a free hand in forming the roster, so that we could try a number of different standins. I think we’ll have a result by the end of this year. If you ask me, Rainbow Six Siege looks much more like an esports title [than Fortnite]. Also, due to age limitations, we’ve found ourselves in a situation where we must replace Shade1, who’s now 16 years old. Everything’s in a suspended state right now. But I hope that within the next two months, we’ll have formed a roster of people who are, above all, willing to play alongside each other. Why don’t you have a Fortnite roster? I’m yet to see a single LAN event. There’ve only been the online ones on Fridays, which I feel are largely for fun. As far as I know, the publisher isn’t big on the whole club-based esports thing. They’re talking directly to the players, they pay the prize money directly to the players as well, so it’s not clear how a club can benefit from this. There are two options: either a great tournament ecosystem with a lot of tournaments that orgs, specifically, compete in — or a revenue-based arrangement to get an income and cash flow. Actually, just cash flow, no income. This, though, is neither, so we’ve got to wait. Perhaps they’ll announce something, a tournament system or schedule. Then we’ll decide. For now, if you ask me, Rainbow Six Siege looks much more like an esports title. What can you say about Artifact? We’ll see, but I have a feeling that clubs are going to be tied to media rights contracts. Something like Hearthstone. Because while HS is considered an esports, more often than not, clubs keep players based on their streaming needs. I think it’s going to be the same with Artifact.